1. 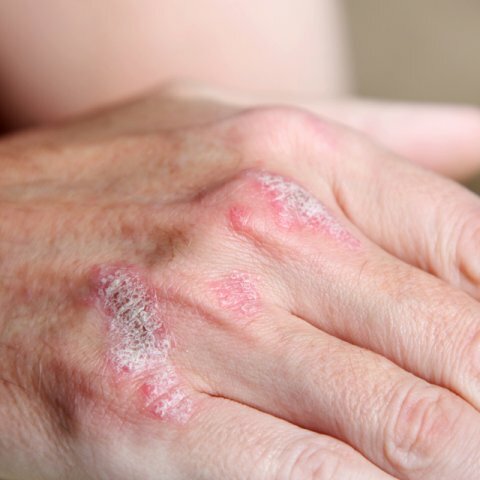 Vitamins and minerals may or may not have an impact on psoriasis. It depends on who you listen to. Mainstream medicine pretty much prefers to treat the symptoms, throwing prescription after prescription of some pharmaceutical concoctions at you, rather than to actually get to the root cause of the psoriasis. 2. Even based on reviews for vitamins for psoriasis, the evidence is mixed. For most vitamins there is insufficient evidence that its effectiveness. The one exception being Vitamin D.
3. Supplements and vitamins for psoriasis occur in many forms, not just pills or capsules. You’ll find them in soft gels, gel caps, liquids, creams and powders. There are some that are even yummy gummies. 4. Vitamins and supplements are not regulated by any agency for their effectiveness. This means that their ingredients can be inconsistent or actually non-existent. So it is very important that you find a reputable source or brand of supplements, and read any available reviews from other psoriasis sufferers. 5. If you are any other medications, you should probably check with your doctor before starting a vitamin or supplement regimen. You may find that you need to take your vitamins for psoriasis at a different time than your prescriptions, or that there may be the potential for nasty interactions between the drugs and the vitamins. Vitamin D, or Vitamin D3 has come into great popularity in the last couple of years. You can even find Facebook groups dealing with all aspect of needing and using Vitamin D3. Like anything else, you must do your research before jumping on the Vitamin D train like it was a carnival ride. First of all, the body naturally acquires Vitamin D from sunlight. Even as little as 10 minutes of exposure to sunlight a day can be enough for the body to produce this necessary vitamin. However, due to ill health, inability to get much sun exposure, or a variety of other reasons, not everybody is able to naturally acquire this sunny vitamin. Studies have shown that psoriasis does benefit from supplemental Vitamin D, either from direct sunlight, or when delivered as a nutritional supplement, with combined with a steroid cream, or when consumed in foods. The one thing to remember when ingesting vitamin D3, which may explain why some people don’t see any real results, is that you also need to take vitamin K. Both are fat soluble vitamins and the liver requires both for the body to get the most out of the vitamin D.
1. Vital D3 by VitalityMatrix – a cream that also contains magnesium for relaxation, aloe for healing and itching, MSN for joint pain, and rosemary essential oil to help with stress. It also contains evening primrose to help soften skin and relieve the itchiness of psoriasis. 2. MAXASORB BioActive D3 Cream 2,000 IU – Comes in a pump dispenser that delivers one measured does for accuracy. It contains aloe juice, coconut oil, glycerin, vitamin D3 and vitamin E.
Vitamin C, a water-soluble vitamin acts as an antioxidant and helps prevent the damage associated with oxidative stress. Vitamin C can be found in citrus fruits, berries, and leafy green vegetables.